We were lucky enough to come by Kristy Young of Minnie and Me Interiors last year when we first published Minnie’s Nursery in Minty Magazine Spring Edition. 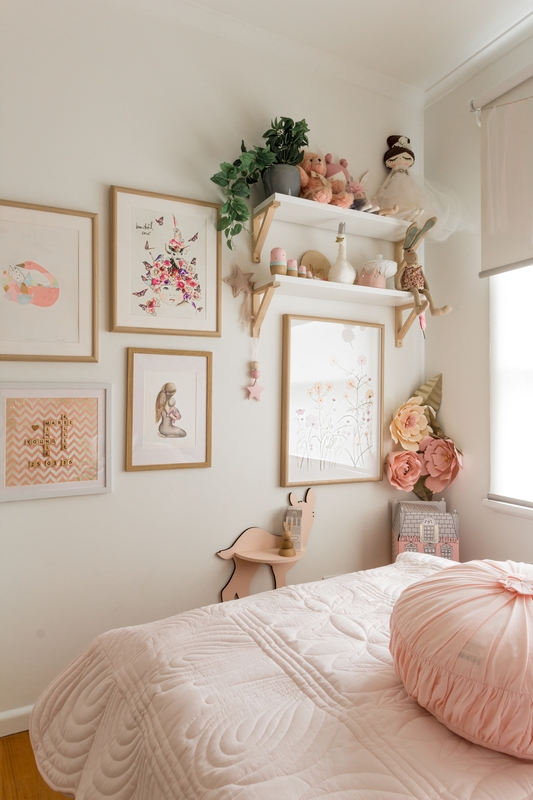 A stunning, not surprisingly, pink nursery to welcome Minnie in to the world. Nothing makes me happier than seeing how the hard work invested in designing and creating a nursery can stand the test of time. A few tweaks and the whole room feels fresh and ready for toddler action. We caught up with Kristy to get the low down on Minnie’s new room, and how she created this stunning space with minimal expense. ‘Hi there, I’m Kristy… I started designing kids room when I was pregnant with our gorgeous Minnie, who is absolutely my muse. I designed a gorgeous girls nursery back in May 2017, which lead to an expansion of my business (Abigail’s nursery which was featured in Minty Magazine Summer 2017). Abby’s nursery featured a custom floral wallpaper (our peony garden white); which proved extremely popular with our followers on social media. My brother encouraged me to extend my business to also producing removable wallpapers and we haven’t looked back!! We now create full sized wallpapers as well as smaller wallpapers for dollhouses, play kitchens and more. ‘It’s every pink lover’s dream, all the different pinks just tie together beautifully. I still adore the wallpaper as well as the wardrobe that we purchased off gumtree which we gave new life to with a lick of paint and new handles.